. 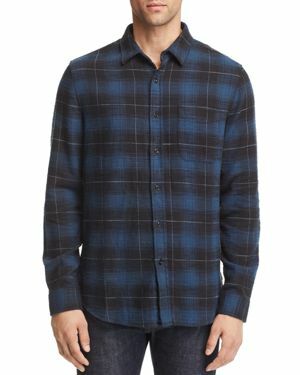 - Hooded Plaid Flannel Shirt Long-sleeve button-down plaid flannel shirt with pearl button snap closure. Functional front pockets and attached lined hood with pull strings. 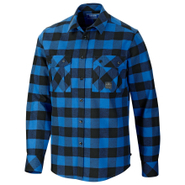 Wrangler - Big Men's Heavyweight Woven Shirt Stay warm and comfortable in any occasion with this relaxed fit heavyweight shirt. 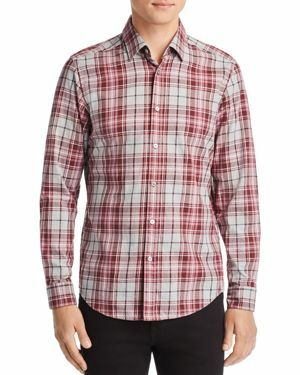 Made of 100% cotton flannel and a sherpa lining for warmth this is the perfect cold weather staple for any Wrangler guy. 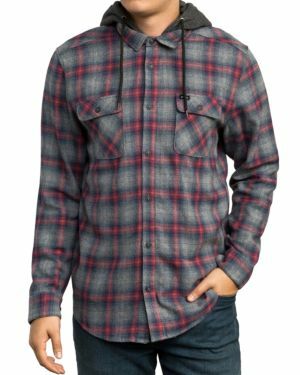 Billabong - Men's Coldfront Flannel Shirt - Grey Heather - Sma This Billabong Men's Coldfront Flannel Shirt is perfect for casual or formal wear. 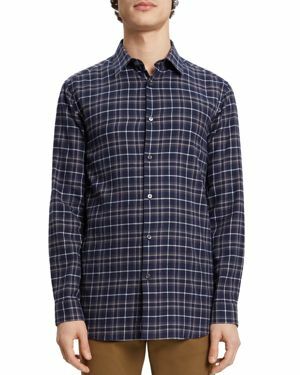 Product Features: Button down. Long sleeves. 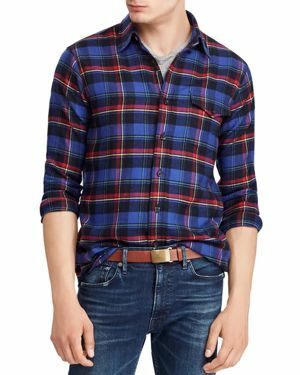 Plaid print. Two chest pockets with button closure. Length: 31 38 inches size large. 100 cotton. 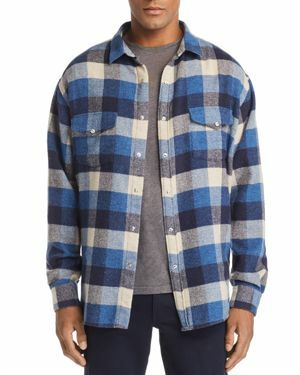 Adidas - Sometimes you just want to stick with a classic like this adidas Flannel Shirt. 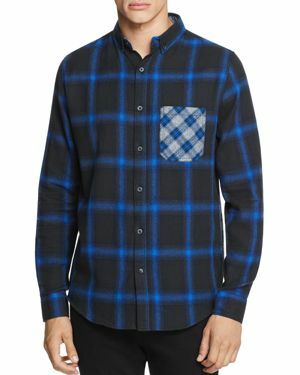 Featuring an old-school checkered design and two pockets this button-front flannel shirt has just the right amount of attitude for the street.